The life of a Heavy Interdiction Cruiser pilot is quite often a harsh one, as soon as the red bubble is up, it usually spells immediate death, but thats the risk we take with our Tech 2 350m ISK (or more) cruiser coffins. Indeed, losing Tech 1 hulls has always been much better in terms of return on insurance. From the cheapest frigate right up to carriers and dreadnoughts, the majority of the value of the hull repaid on one glorious explosion. For those line members who may not be flush with ISK, insurance has always a vital lifeline with only the cost of the modules and cargo being the real ISK loss. Things never were so great with Tech 2 ships, the payout on the ship in insurance usually being less than 20% of its average retail (or mineral) value, this meant that unless your Alliance/Corp had a reasonable Ship Replacement Programme (aka SRP) flying in those fleets of Tech 2 ships could be a costly venture. 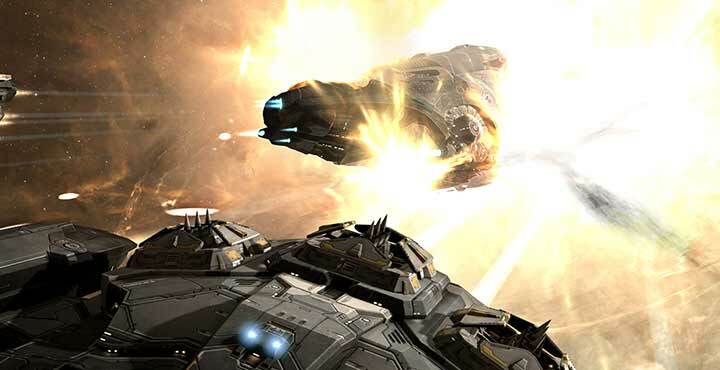 As of the latest patch, not so much – In a surprise tweak to the game play, which got neither mention in the Eve Online Forums, Patch Notes, Twitter or even Reddit, it appears New Eden’s ever benevolent (and probably in serious trouble) insurance company has buffed the insurance payout on Tech 2 ships from approximately 20% to a whopping 50%; Evidence of which appeared on Reddit. This may not seem like a massive change until you take into account the cost of some of these ships, and this is where I get back to being a Heavy Interdiction Cruiser pilot. When those 350m + ships went bang the payout you used to get for say an Onyx would be around 50m ISK after paying out a premium of 14m ISK, resulting in a total loss of 314m ISK. With this change it drops to a paltry 170m ISK. A lot of people are probably rubbing their hands and jumping for joy at the prospect of getting more ISK for their T2 ships. Add in an alliance wide SRP programme and pilots of Tech 2 ships could very easily be walking away happily in profit to the tune of hundreds of millions of ISK all for getting their ships destroyed in a glorious ball of fire. As a HIC pilot I’m particularly happy as our on field life expectancy tends to be pretty low. This surprise change will potentially have many Eve economist furiously tweaking spreadsheets, scribbling potential consequences to work out the market impact of Tech 2 ships being more financially accessible. While at the same time opening the taps on the insurance ISK faucet increasing the flow of ISK into Eve beyond the 2.5 Trillion per annum that it already feeds. What sort of impact this will have in the long run for the Eve Economy will yet to be seen. Thank you for another informative website. The place else could I am getting that kind of info written in such a perfect manner? I’ve a project that I am simply now running on, and I’ve been on the glance out for such info. This is a great standpoint, nonetheless is just not create every sence in any way talking about which mather. Every technique thanks as well as i had endeavor to discuss your own place straight into delicius but it looks like it’s a dilemma using your information sites are you able to you need to recheck the item. many thanks once more. I would like to thnkx for the efforts you have put in writing this web site. I am hoping the same high-grade blog post from you in the upcoming also. Actually your creative writing abilities has encouraged me to get my own website now. Actually the blogging is spreading its wings rapidly. Your write up is a good example of it. I enjoy you because of each of your efforts on this blog. Gloria take interest in engaging in investigation and it’s easy to understand why. Most people know all concerning the dynamic ways you provide great techniques through your blog and as well as improve participation from people on the subject matter plus our own simple princess has always been discovering a lot of things. Take pleasure in the rest of the new year. Your performing a useful job. It appears there are websites as well as blogs committed to numerous activities, such tv, songs, lives of stars, etc. Yet I really can not discover sites as well as blog sites committed to reading, regrettably an afterthought when it pertains to activities … Any individual recognize some actually prominent and fantastic ones? Classic and existing literature are both trendy with me, because I check out both … Thanks so much! =o-RRB-. I actually wanted to type a brief message to say thanks to you for some of the magnificent ideas you are sharing here. My long internet search has finally been recognized with excellent strategies to write about with my colleagues. I ‘d say that most of us website visitors are definitely lucky to exist in a useful place with many perfect people with beneficial plans. I feel rather lucky to have come across your site and look forward to many more cool minutes reading here. Thanks once again for a lot of things. hi!,I love your writing so a lot! proportion we keep up a correspondence extra approximately your post on AOL? I need an expert on this house to resolve my problem. Maybe that is you! Looking forward to see you.